Does La Bancarotta have any relevance to the year 2004... ? Although written in Spain in 1979, the following text caused quite a furore at the time it was published. It was notable for attacking anarchism not from its traditional statist party Marxist perspectives but for not being libertarian enough as equally in practise, anarchism often accepted a statist framework staffed by its own elite. In retrospect, perhaps it is possible to say that the text does so from an almost mythical belief in the purity of rebellious (usually industrial) workers who will find the solution to the totality of all our problems. Well, maybe... ..
What the text does reveal is that anarchist theorising and often inconsistent practise in all its 1936-7 Spanish Revolution glory had become largely irrelevant as a theory with a real cutting edge in an often vastly different modern world. In reality what Spain was experiencing in the late 1970s was the nostalgic swansong of an epoch long gone - hence the vitriolic tone and exasperation evident in the text. In the following decades Spain was swept fully into the hideous realities of post-modernism with anarchism more as totem and fashion accessory accompanying the free market. Equally though, the 'pure' workers got grounded, as a contemporary subversive theory - which this text is also a potentially an expression of - also bit the dust. It is still however a panegyric-like rant worth reading if only for the reason that a vague anarchist disposition influences huge swathes of the anti-globalisation movement whereby local small-scale flavour reaches out to a yet to be created - and hoped for - benign state protecting many varied and interesting projects developing beneath is patronage. That some of these initiatives may turn out to have promise depend however on an unprecedented greater movement that has yet to unfold which will finally overturn the law of value governing capitalist accumulation. But this process is still a gigantic leap into a real unknown and will it ever really take off? Yet it is our only hope. If not, most of these experiments are merely the final, forlorn initiatives as the planet is engulfed in the flames of suicide capitalism. As the song said - and it is a trajectory we clearly and desperately dont want to see: "This is the end my friend, my only friend the end". This text should also be read in conjunction with the following RAP web text: From the End of Empire, to the Empire of the End which outlines the artistic/media component of the failed Portuguese Revolution of 1974-5 from a somewhat similar perspective though without emphasising the workers as a kind of demiurge of this hideous mess. Although written in 1979, the following translation still remains as pointed as ever. It is a valuable contribution to the critique of all the insubstantial nostalgia surrounding anarcho-syndicalism. These ideas are been given a second airing thanks to the growing recognition in many quarters of the obsolescence of trade unionism. The customary approach is to show how anarcho-syndicalism evolved from the limits of traditional trade unionism. What is frequently overlooked is the way in which anarcho-syndicalism reverted back into a more conventional trade unionism. In any case, a through going revolutionary critique of all the complexities and pitfalls of anarcho-syndicalism as it was experienced in the U.S.A., France, Australia, Scandinavia, Argentina, the U.K., Spain etc. is urgently required. Obviously insurgent workers at one point felt a need for it just as sectors of capital sometime later were to seize hold of its weaknesses and weaken it even further. Radical criticism of the State was shelved as anarcho-syndicalism became more unashamedly political. In fact the crisis of anarcho-syndicalism, and one it was unable to recover from, was earth shatteringly revealed in the May Days of 1937 in Catalunya and Aragon. These days have turned out to be a short lived radical precursor of all revolutionary moments since. The truth of the failure of anarcho-syndicalism was splashed on the pavements in blood for all to see. In exile what remained of the CNT, became a hollow mockery of its former self. It's legalization after Franco's death was also to become its epitaph. The need for libertarians to organize remains as pressing as ever but the hour of revolutionary syndicalism passed along while ago. Nowadays the dissemination and conservation of anarcho-syndicalism amounts to nothing less than the dissemination and conservation of an ideological corpse. Its only purpose is in contributing to, and strengthening, the lies concerning revolutionary struggles. Or what amounts to the same thing: blotting out the memory of history from proletarian minds. But the disintegration of the libertarian image of a second CNT appearing after a parenthesis lasting many years only underlines the fact that this period of time -though lost for revolutionaries - has not been gained for the burocratic lie. The irreversible collapse of the libertarian syndicalist image, which the burocratic lie of the CNT opposed to the whole of Spanish capitalist society as its pseudo negation, has become obvious first of all on the terrain which capitalism and the State has the utmost interest in preserving: the sham of an adversary on the terrain of class struggle. This is recognised by an operatic conspirator and a Catalan priest, being furthermore significant CNT burocrats. On the other hand, it is also apparent from the disputes between petty factions squabbling for control of the rest of the organization. Their repugnant character has been aptly described by general secretary, E. Marcos in an article outstanding for its anarcho -syndicalist hypocrisy. 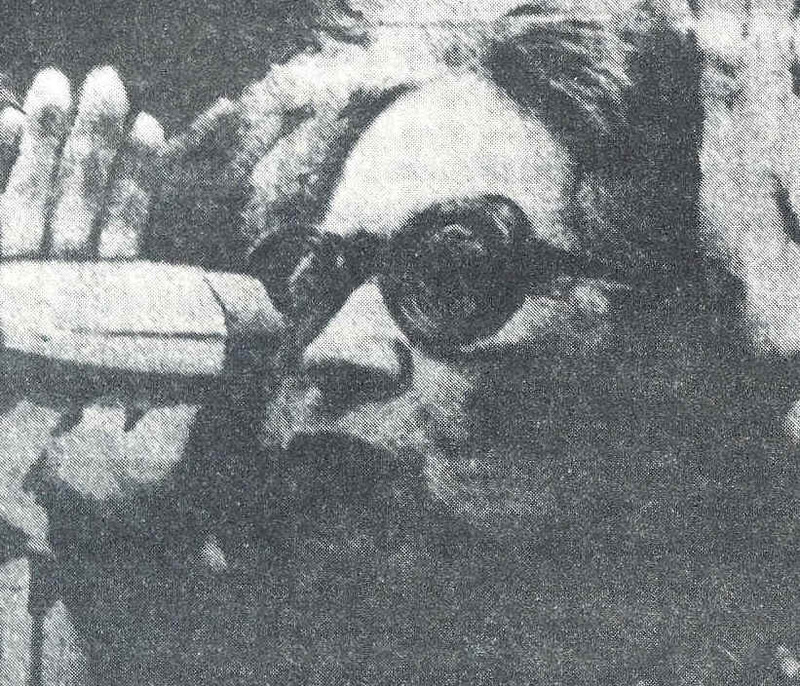 The workerist faction reacted by forcing the Congress to convene in October 1979. Being more expert at issuing declamatory statements it contrived to drag burocrats not belonging to any faction along in their wake. In the short term it spelt the exclusion of factions given to making dreamy-eyed speeches, riven with dissension and incapable of providing a coherent burocratic counter alternative because of the number of errors committed and because they were infiltrated by provocateurs and police and headed by mediocre individuals. There aren't currents of different opinions only cliques who square up to one another. The polemic raging between good and evil people, between "secret organizations of an almost mafioso character", against a "parallel organization of people out to capture positions of power", between "lumpenproletarians" and drop outs, (13) against "reformists" and "Marxists" has only to avoid mentioning the fundamental cause: dominant tendency: i.e. the failure of syndicalism, trade unions and the workers' burocracy in their entirety. The Spanish proletarian assembly movement has ruined this pseudo-revolutionary trade unionism as well as conventional trade unionism. And this common ruin was due to doubly good reasons because conventional trade unionism in the capitalist system represents the supercession of pseudo-revolutionary syndicalism. Of course, if a trade union sets out to pursue claims concerning survival, wage increases, improvements in working conditions, defence of jobs etc. -if it can just ensure within the capitalist system a stable market for wage labour and is able to eliminate some going of the hazards affecting workers' physical well being -then obviously a unionism minus all the phrase making is a typical making has obtained, and obtains better results, than a prattling syndicalism. What is at the root of the CNT's internal crisis is its failure to appropriate for itself a portion of the workers` alienated representation and project itself to them as an organizational model. The ideology signifies nothing. In utmost confusion everyone is fighting in the name of the self same saint employing similar phrases to denounce each other. A comic end for this ideological lie: death by ridicule. The CNT is absent from nearly all workers struggle and wherever it is to be found it follows the dominant tendency. The failure of its syndicalist brand of politics is obvious and evident from the numbers leaving the union, the extremely low number of workplace branches, the non-payment of dues and the non-existent quality of its militants. But above all the CNT's crisis is a crisis of unionism in general. Just like the rest, the CNT burocracy finds itself torn apart by these attacks and counter attacks that spring, like the obligatory raving language it blankets itself with, from the objective difficulties which beset it. In the second place the CNT's crisis is the crisis of the anarchist spectacle. Trying to arouse passions by going on about commonplace statements more threadbare than cast off clothes, this kind of anarchy is a typical limited company in which ambitious fools seek to clamber on the shoulders of a unionised mass they wished were stupid and servile and ready to consume syndicalist libertarian comforts which these purveyors of pseudo anarchist systems dole out. They comprise a solid mass of buffoons and sentimental weirdos and it is with this as a basis that some of these defeated bullies -stage heroes of some farce or other -hope to erect a FAI "with a human face" or a CNT "sympathetic to public opinion" and eligible for interviews by the press and T .V. They want this because they draw their mandate, not from the hatred shown them by all the forces of the old world, but from being acknowledged by the mass media. It is power itself which will never willingly tolerate the self-organized existence of the proletariat, who gives them their citizens rights. "Here there are many that appear to exist and have their being and then they are no more than a name and an appearance" said Quevedo. But how did these short lived unions manage to gain so many members seeing their existence is so artificial and patently without any future? Because being new they were fashionable, lending to their members an air of faint-hearted rebellion which was far from unwelcome. In fact it allowed them to adopt affected mysterious poses and provided them with an opportunity to hide behind empty gestures. At bottom they were ashamed of their individual inertia, because an irrational belief in pitiful fictions does not require any effort. Also the existence of a new organization provided a distraction, which kept the boredom that consumed these barren souls at bay. And it provided a promotional ladder for frustrated burocrats to climb up. Sickness, hygienicists tell us, is an attempt by the body to adapt itself to the bad environmental conditions it is placed in. The fashion for anarchism has been for many a person an attempt to acclimatise themselves to society. This new obscurantism has propagated by professional pedants, rhetoricians of such and such a line, charlatans with an axe to grind and by senile old people who far from being heralds of a new dawn merely point the way to the defeat of 1936. Nevertheless they have not been able to hide the authentic reality of past revolutionary events. It hadn't either proved able to sell itself or identify with the modern workers movement. The two rival gangs expose each others respective origins. What emerges is that these deadly serious comedians of anarchism and syndicalism spring from failed revolutionary rackets. They are burocrats who have been unemployed for a year or two. Despite their joint attacks and counter attacks they cannot hide from a truth they share in common. Both are the sworn enemy of the revolutionary proletariat which shall simply walk all over them. When the catalan priest Boldu, recently elected to serve on the National Committee, wondered in the pages of "El Periodico whether "we'll be a laughing stock to the workers" he supposed rightly. The proletariat is laughing alright but it will laugh all over its face when the last burocrat -the last Boldu -is strangled by the guts of the last capitalist. The born again CNT burocracy had hoped the proletariats memory was short-lived, facilitating thus the deployment of its cosy ideology. But the experience of the assembly movement over the last few years -"the real movement abolishing existing conditions" - has made enough of an impression on the consciousness of the proletariat that it is able to withstand "ideology" in the sense of ideas that serve leaders. The speeding up of the practical de-mystification of ideology and the burocratic organization that goes with it serves to accelerate revolutionary theory: - the strategy of revolution. Whatever 1ts ideologiical masks are, it is the same society of alienation, totalitarian control and spectacular consumption that reigns everywhere. It is impossible to get to grips with this society's indivisibility without a total critique illumined by a project where human beings are in control of their own history at every level. It is quite right to recognise the difficulties and the immense tasks facing a revolution that wishes to set up and perpetuate a society without classes. It might easily start from the autonomous proletarian assemblies that recognise no property or any authority outside of them. Their purpose lies beyond all laws and specialisations abolishing the separation of individuals, the economy and the State. But it will never triumph except by imposing itself universally leaving no stone unturned or form belonging to alienated society upright. 1. CNT: Confederacion Nacional de Trabajadores. Anarcho-syndicalist union. 2. "Viejo Topo": ("Old Mole") Free floating left wing review which ceased appearing in the winter of 1982/'83. 3. The Exile: Refers to the old Spanish anarchist "leaders" mainly in France who pretended to be the exclusive representatives of the CNT. (e.g. the "Intercontinental Secretariat of the Spanish Libertarian Movement" in Toulouse). 4. UCD: Union de Centro Democratica. Formed in 1977 as a center right electoral coalition of several parties. The coalition was to completely collapse in the 1982 General Election as the more rightist AP ("Federacion de Alianza Popular") took over some of the ground the UCD had previously occupied. 5. FAI: Federacion Anarchista Iberica: Aimed to be the elite political organization of the proletariat prior to 1936 with the purpose of propagandizing the anarchist idea among the masses. 6. "Sindicalero-FAI": A modern day Spanish slang which referred to a specific tendency within the CNT which aspired to a kind of hard-line unionism or workerism, as opposed to the more legalistic syndicalists, as well as to the more ideologically pure anarchists, counter-cultural tendencies etc. 7. UGT: Union Generale de Trabajadores. Socialist Party Union. CC.OO: Commissiones Obreras. Communist Party Union. 8. " Ateneos": Mainly libertarian cultural centers set up by Spanish workers. Somewhat comparable to the Italian communists "Peoples houses" or the "bourse du travail" of the French syndicalists. 9. A play on words from a quite well known book, "Entre el fraude y la esperanza" ("Between fraud and hope"), the autobiography of a militant worker during the last years of the Franco regime, describing the beginnings of the Commissiones Obreras and how they eventually came under the control of the CP burocracy. 10. "treintistas": so called because there were 30 signers of a manifesto issued by moderates in favour of co-operation with the Republic in August '31. The "treintistas" split with the CNT in 1933. Reunited with the CNT at the Zaragossa Congress in 1936. 11. "faistas": militants of the FAI. 12. The Falange: A fascist workers party desiring a National Socialist regime such as existed in Germany and Italy. They wanted agrarian reform, nationalization of the banks and railways, paid holidays for workers, profit sharing, protection against the "abuses of capitalism ", compulsory fascist closed shops embracing employers and workers (one of their slogans affirmed: "outside the trade union there is nothing"). In the years following the civil war the Falange ideal lost ground to the Church and the landed oligarchy -the real power in the early years of Franco's reign. However the Falange played a major part in the verticalist union structure of the CNS after Franco's victory. 13. Drop Outs: "pasotas" in Spanish. A current of youth counter-culture, appearing at the end of the Franco era. Vaguely anarchist, they are into dope, music and living in the countryside, avoid work whenever possible but who don't go much farther than this. The word literally mean somebody who "pasa de todo" who doesn't want anything to do with work, politics, the family or anything else. 14. Juan Peiro: Syndicalist theoretician who was several times General Secretary of the clandestine CNT. One of the "treintistas" who became Minister of Industry in the Catalan Government in 1936-37. Fled to France after Franco's victory but was deported to Spain by the German Nazis. He refused to co-operate with Franco's verticalist unions and was shot. 15. C/f "Wildcat Spain Encounters Democracy 1976/78" (available from BM BLOB LONDON WClN 3XX) for the first "Commentaries". The "New Commentaries" have never been translated. 16. Angel Pestana: First publisher of "Solidaridad Obrera " in 1916. In 1920 was the first delegate of the CNT to the Comintern Congress and returned to Spain disillusioned with the Bolshevikh regime whereupon the CNT broke with them. Later Pestana, moving more reformist, became the inspiration behind the "treintistas". Formed a syndicalist party which contested elections and won Parliamentary seats in 1936. Died in 1937. 17. Federica Montseny: CNT inspired militant, although not a member as she had no boss. One of the governmental anarchists who called on the revolutionary workers of Catalunya and Aragon in May 1937 -as well as those opposing them which included duped UGT workers -to lay down their arms. In exile published the weekly CNT, in Toulouse. Now living in Spain: still can't see what was utterly traitorous in her actions.